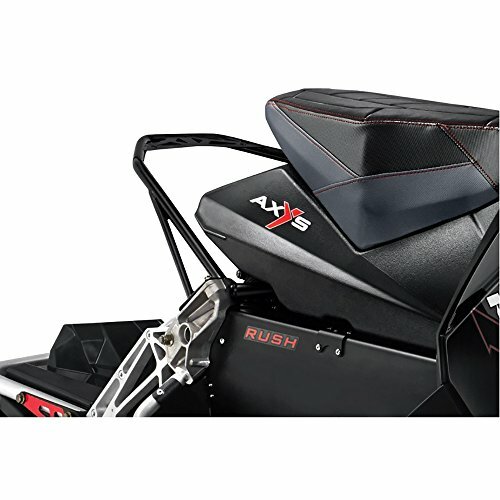 Adding this innovative AXYS Switchback PRO-FIT Sport Rack gives your sled a versatile cargo-carrying solution. A key element of the PRO-FIT Storage System, this strong, durable rack mounts easily and lets a rider add the AXYS PRO-FIT Sport Rack Bag (2880371, sold separately). The Sport Rack can remain on the sled when the bag is removed. Adding this innovative AXYS Switchback PRO-FIT Sport Rack gives your sled a versatile cargo-carrying solution. A key element of the PRO-FIT Storage System, this strong, durable rack mounts easily and lets a rider add the AXYS PRO-FIT Sport Rack Bag (2880371, sold separately). The Sport Rack can remain on the sled when the bag is removed.